There is no reason to watch Jason Bourne or James Bond. We are living in a spy movie more epic than anything Hollywood can create. I know there are some that are saying Assange was just controlled opposition. I beg to differ. Without Wikileaks I don't know that we wouldn't be talking about Obama's third term under Hillary. I believe him to be a Hero for Liberty in the U.S. and with ramifications world wide. Time will tell. The Elite wanted Globalist Hillary as POTUS there can be little doubt. The CIA have taken over Wikileaks main sites and twitter accounts. We have pictures of the take down by the CIA. It has been confirmed by activists who witnessed this. Black ops team stormed the embassy last month took away a man with a black hood over his head. We know Julian was taken by black ops team that was witnessed. We know people in Wikileaks had their phones and computers seized and were threatened. We know Wikileaks twitter and its accounts Free Assange Wikileaks Task-force are compromised, taken over by the CIA. We know Julian is not in the embassy anymore, and we know Embassy cat is still there, and there is no way Julian would leave [h]is beloved cat behind if he left on his own free will. We know Julian could have easily done a video to proof he is safe and not taken, that never happened. We know that the last video last month was not proof of life, it was not even Julian. We know that Obama had now classed Julian Assange and Wikileaks organization as a terrorist organization, wanted dead or alive. That announcement was made approx 3 weeks ago by Obama. We have the video. That would give the CIA the power to take Julian from embassy. Our source is special OP's expert in bitcoin and encryption. Was also tortured by the CIA for 6 days. We have spoken to other special forces and ex special forces who we personally know, they have all told us the same thing. CIA would have tortured Julian to comply with them. The pod cast by audio only clearly shows this. He could not provide a video as he has been taken by the CIA. 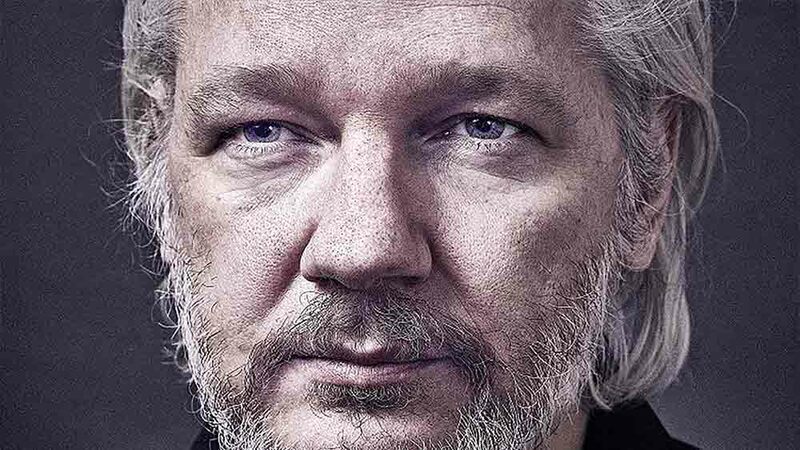 All of our intell we have gathered from the October 2016 when the dead mans switch was activated and since communications sent alarm bells through our network that Julian had been taken and Wikileaks had been compromised which has now been confirmed. Twitter messages and abuse from FreeAssange account which we are told is compromised. This account also runs Wikileaks and The Wikileaks taskforce accounts. There are 4 pages of tweets and we have a hell of a lot more. For those who don't know and it seems there are quite a few. Julian admitted in a media interview with RT media which is on youtube that all of the emails - data dump on Clinton - Podesta - Soros - Pizza gate - Gov came from Anon hacktivists. Without Anon Wikileaks would have nothing. Data given to Wikileaks for FREE which they have been charging to publish. It has been reported more than once that Wikileaks are being paid to publish. By who we do not know. We have words from Edward Snowden also confirming they are being paid to publish and are not publishing all the data given to them. The data was given to Wikileaks for free which they are now charging to publish . It was highly suspicious as well that more than one person in this thread after standing up to the Free Assange Wikileaks account were immediately locked out of their accounts, more than once.